As we head into autumn, now is the perfect time to launch a pop-up shop or market. Pop-up retail spaces are still huge. In 2015, The Telegraph reported that over the course of the following two years, 1/3 of new UK start-ups will be pop-ups, opening 3.4 million shops in total. And earlier this year, the Retail Gazette estimated the worth of the pop-up industry in the UK at £2.3 billion. If you’re set on opening your own pop-up retail space, now is a great time to do it, and we’re here to help. One of the most important elements of a pop-up market are, of course, the stalls. They’ll be the way to persuade both brands to rent your space, and customers to visit. At Quirky Group, we specialise in creating hand-made units, which always attract a crowd. We can supply you with a set of premium market stalls. The stands can be customised to fit your ideal design, and we can add branding and colours as required. The units are lightweight and strong, easy to set up and can be flat-packed for storage. 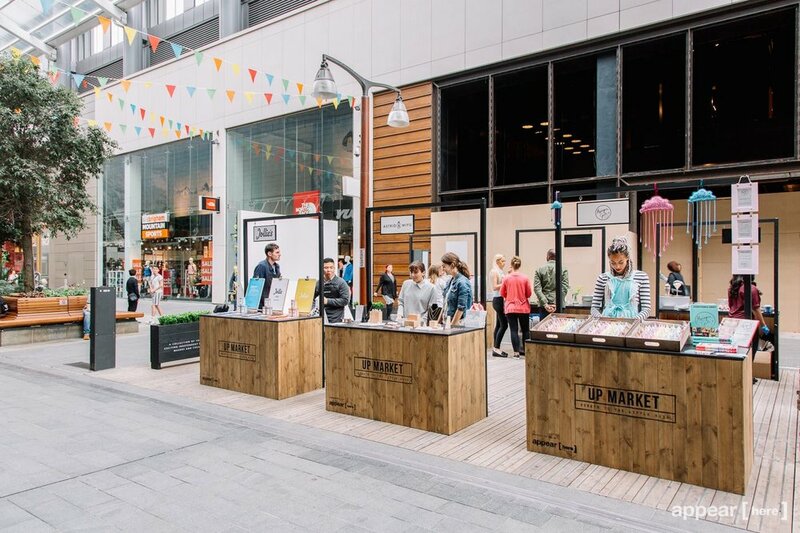 So far, our market stalls have popped up in One New Change in London, the Bullring in Birmingham, and Westfield shopping centres, with established companies like Appear Here and Hammerson opting for matching sets.